Yep, I tried another Against the Grain beer over the weekend. What a surprise, right? 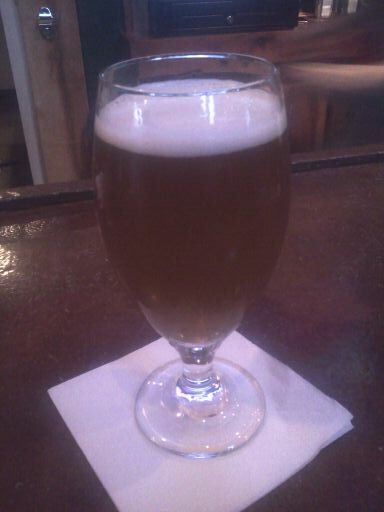 This time it was from the “Whim” tap: Boom Gose the Dynamite. From the word “dynamite” in the name, I would have expected something extremely hoppy and high ABV, but I got quite a surprise from this very smooth brew. It’s citrus-y and crisp, even a bit sour. In fact, it actually reminded me a bit of a savignon blanc wine. No mind-blowing hop experience here. ATG calls it a “modern interpretation of an ancient top fermented saline sour ale.” So there you go. Anyway, it comes highly recommended. I liked it so much that I had a second. Cheers to weekends. And to this refreshing, perfect-for-summer beer. ABV: 4.2 percent. IBU: 18.